SPORAH TV: MY NEW VIRGIN PERUVIAN HAIR & VIRGIN BRAZILIAN HAIR. "Ladies Your 100% Real Chance To Look Like a CELEBRITY "
SPORAH AND XAVIERE THE C.E.O OF VANITY LOCKS REAL HAIR. IN CASE YOU ARE WONDERING WHAT KIND OF HAIR EXTENSION IS THIS? IS CALLED "PERUVIAN HAIR" IT'S VIRGIN REMY HAIR CUT DIRECTLY FROM DONORS IN PERU, SOUTH AMERICA. THIS MEANS THAT THE PERUVIAN HAIR THAT YOU PURCHASE FROM VANITY LOCKS REAL HAIR HAS NEVER BEEN CHEMICALLY PROCESSED. EACH PONYTAIL HAS BEEN CUT FROM THE HEAD OF A SINGLE INDIVIDUAL AND THIS GUARANTEES QUALITY AND DURABILITY. THE SHADES AND HINTS OF EACH PONYTAIL ARE THE NATURAL COLOUR OF THE DONOR, AS GOD INTENDED. THIS ONE ITS PURE PERUVIAN & VIRGIN BRAZILLIAN HAIR - CAN YOU TELL THE DIFFERENCE? Vanity Locks promises to provide you with the best quality hair that can be worn over and over again. We only sell top quality hair. Our Peruvian hair is imported from Latin America. Where Vanity Locks ensures that our clients only get the best that is out there . 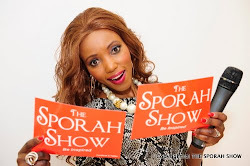 Xaviere tells THE SPORAH SHOW, Hair Extensions can be a fun and exciting . You definitely get what you pay for with hair extensions, as they are not cheap. Many stylists receive special training from various hair extension companies and become certified to perform specific methods of attachment. Hair extensions are not a one size fits all, and some methods may not be suitable for certain hair textures and conditions. Here is a list of the TOP FIVE reasons that women and men get hair extensions added to their natural hair. 1. Add INSTANT length, volume or thickness to their hair. They have always wanted long hair or thicker hair and for whatever reason have never been able to grow their own hair out. 3. Add bold or subtle highlights to your hair without chemical processing. 5. Just for fun!!!! Some people like to experiment with their hair styles. Hair extensions offer an instant new look. VANITY LOCKS REAL HAIR YOU MAY CHANGE THE COLOUR TO SUIT YOUR REQUIREMENTS JUST AS YOU WOULD TO YOUR OWN NATURAL HAIR. (It gives me peace of mind, full stop.......... Call: 07932757642). Are you sick and tired of your current hair style and want to change it immediately? Hair extensions can add instant length volume, thickness or highlights to your hair in just a few hours. They can be attached to your natural hair using many different methods available today. For example, there is bonding, cold and warm fusion, sew-in, braid-in, heat-sealed in and even clipped in. Our main aim is to satisfy all our customers needs and provide you with the very best the market has to offer at reasonable price. Our hair is imported from Latin America and Europe, where Vanity Locks ensures that the nature real human is carefully picked from donors. Once collected the hair is carefully treated by sanitising, cleansed and quality checked. To give it the perfect finish, the hair is then professionally hand weft. 44 WAYS TO GROW YOUR BUSINESS OR BRAND WITH MAVIS AMANKWAH.! Mavis Amankwah is an entrepreneur specialising in marketing, PR and diversity communications. Winner of three business awards and a full member of the Chartered Institute of PR (CIPR), she’s regularly named by PR Week as one of the ‘most influential people in PR’ and has been featured in over 70 press titles. Mavis’s business story began in 2002, when she spotted a gap in the market and Rich Visions www.richvisions.co.uk was born, helping organisations communicate with diverse and hard-to-reach communities. In 2009, realising that small businesses were not consistently using marketing and PR, Mavis launched another arm of the agency www.richvisionssb.co.uk which has helped over 200 businesses to grow. Mavis is also a public speaker and has spoken at various conferences and seminars with high profile dignitaries and celebrities which include MP Diane Abbott, Apprentice Winner Tim Campbell,Reggae Reggae sauce business entrepreneur Levi Roots and CEO of MOBO Awards Kanya King. 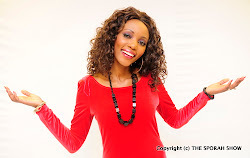 In September 2011 Mavis launches her new book entitled ‘44 ways to grow your business or brand’ in which Mavis reveals the secrets of her business success. Year on year, Rich Visions has grown delivering effective marketing, PR and communications solutions to enable organisations to engage with diverse and hard to reach communities across the UK. Past clients have included Comic Relief, HSBC, Metropolitan Police, HMRC, and other Government departments including the COI (Central Office of Information) and the Home Office. Rich Visions has now evolved to become a fully-fledged agency and consultancy. Mavis has already worked with over 50 public, commercial and corporate organisations, helping to embed equality and diversity into their core functions, implement communication strategies that reach diverse audiences as well as providing staff training and awareness programmes, diversity research and equality impact assessments. Wiskin PR is the ever evolving and revolutionary, PR, artiste development and management company for those looking to progress themselves to a marketable package. Since 2004 Wiskin PR has worked hard to gain recognition and become a specialist company in the Entertainment industry. Sporah meets Wiskin on the left and Marshy in the middle. Watch channel 184 on your sky remote on monday 14th November @ 10.30 pm to see Marshy and Wiskin perform & get interviewed on the sporah show. Marshy on the left is a London based singer/songwriter and producer who's music has a unique tone mixing a commercial R&B/Soul / Dance / Hip Hop added with soft music production and vocal. Having already released music on iTunes, Marshy is now under the management of WiskinPR which has already brought sponsorship from Mindshock Designs, a TV interview on BenTV and ongoing projects. For more about Marshy, please visit Here..! I love you guys so much, it was GREAT ! Njice nice ladies, well done guys. you look good ladies anyway, loving it slightly gold in sporah. I've been thinking about getting something like this for when I get married. I'm growing out my hair but I don't know if it will be long enough for the big day. This is very fantastic look when we use the hair extension and it's looking very impressive. I love it. I would love to try Peruvian hair extensions. My sister bought these really cool extensions in America. Instead of having to clip the hair on, it comes on a tiny piece of fishing wire that goes on your head like a headband. You then pull your own hair through so it hides the line and you suddenly have a full set of extensions. its very nice and My hair felt so hugely thick, but not as good as this. Sporah your make up is just tooooooooo much today, WHY? Also that hair really doesn't look good on you at all, may be thats why they had to put you lots of make up. i like you with your BIG, GOLD color look good with your skin tone. Is it lace wig Sporah??? Are you sure is 100% virgin Peruvian sporah show? Looking Gorgeous Sporah as always, not sure with the colour tho..! sporah mbona huku bongo mi naona show zako za zamaniiiiiiiii, IVI INAKUAJE! Well I think I shoud try these peruvian hair bcs I have the brazilian and indian hair. CAN WE PURCHASE FROM AFRICA? To me indian its the bestess than brazilian but who knows maybe this peruvian hair will knock all of them out lol. And i think the colour looks MWAH to me lol.! why would an African woman wants to have that kind of hair??? WHAT ARE YOU TEACHING SPORAH? this is not good for our children. Is this hair company follow a fair trade policy? Coz you dont just cut people's hair and pay them peanuts and sell it to us for £££!!!! I enjoyed reading this post as it gave me some great knowledge into a few things. Actually, I don’t even know what im talking about, just thanks for the post. virgin Brazilian hair bundle deals Shop our site for Virgin Hair Extensions. We carry Brazilian Hair, Malaysian Hair, Peruvian Hair, Nano-Ring Extensions and Clip-In Hair Extensions. Hair looks great!I love the weave style!Really hope we could make cooperation in the future. 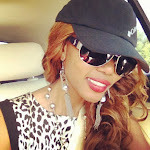 Your are looking nice with Brazilian Hair Extensions, it can suit to your personality. Thanks for sharing this.